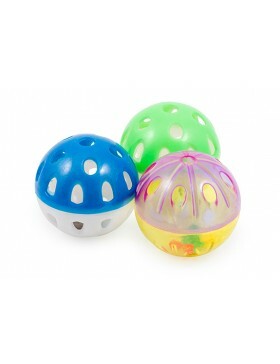 In the category "Cat toys" you can buy more than 14 products, such as Ancol Plastic Ball&Bell, Cat Tickler, Catit Sense Food Maze. 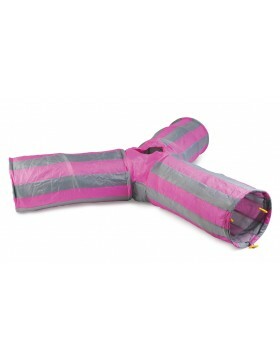 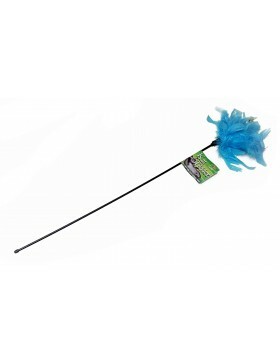 With spring loaded pom pom and the super-fast ball track, this toy is great for allowing your cat to..
Over 1.8 metres of crinkly Y shaped tunnel with central pop up hole to allow your cat to jump in or ..
Food Maze* The cat is challenged to move its food throughout the maze until it falls to the bottom.*.. 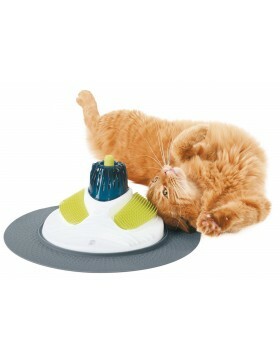 Massage CentreComplete Pampering experience for your cat. 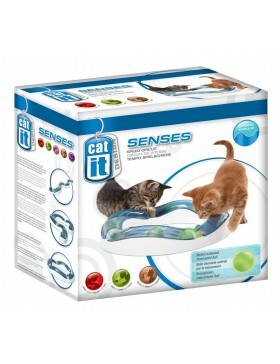 * Gum stimulator helps stimulate and clean ..
Catit Senses Play CircuitEntertains while engaging cat's sense touch, sound and sight. 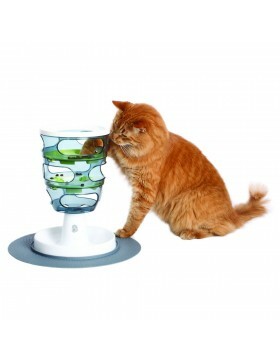 * Peek-a-boo t..
Cat senses are unique; they see and hear sights and sounds that are beyond our understanding, and wi.. 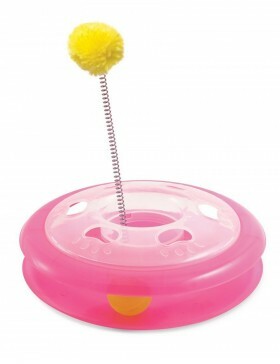 The Catit Treat Ball is a toy and treat dispenser in one!As the cat plays, chases and swats the ball..
High quality, great interactive cat toy from Classic. 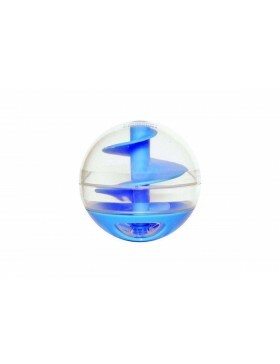 Fun, enjoyment and exercise for our feline fri..
Classic Catnip DynamiteClassic Pet Products range of Play Time Toys for cats have been a firm favour..
TPU LED impact activated blue LED ball on a rope.Stays illuminated for 5 minutes.Water resistant.Per.. 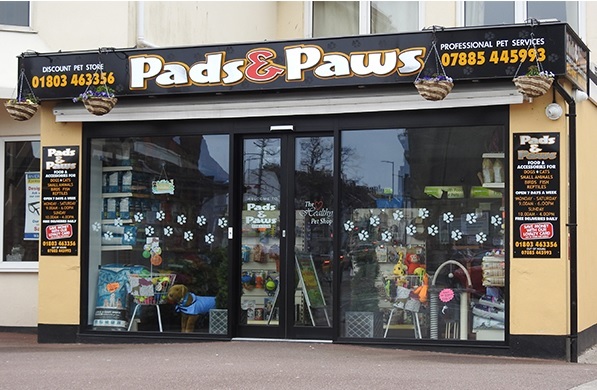 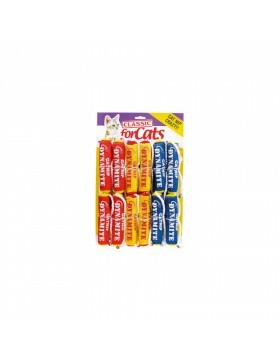 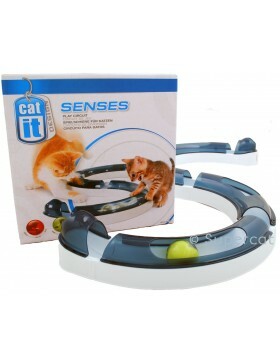 Entices cats to play, paw and pounceEncourages natural and wild instincts..